❦❦Lightweight and portable, easy to carry. ❦❦Made from environmentally friendly material, it’s safe to use. ❦❦Available for masquerade party, birthday, Halloween, Carnival, Cosplay, stylish decoration, bar show and etc. ❦❦Make you experience a wonderful ghost world. ❦❦Let your Halloween day more passionate and add more moments of joy. ❦❦A novel festival gift for your close friends. 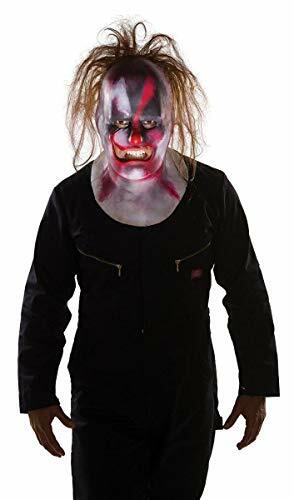 ❦❦Slipknot mask, you can easily adjust the length suitable for you size. ❦❦with it, you can enjoy a more happy Halloween day with your family or friends. ❦❦Additive of festival and pleasure of life.